The branch of Psychiatry has grown significantly in past 6-7 decades. The era of exorcism and black magic and other unscientific therapies have been replaced by modern scientific methods of treating mental disorders. Psychiatry is a field of Medicine which deals with the diagnosis, treatment and prevention of mental, emotional and behavioral disorders. Department has maintained the tradition of active contribution in service, training and research activities of the Institute. 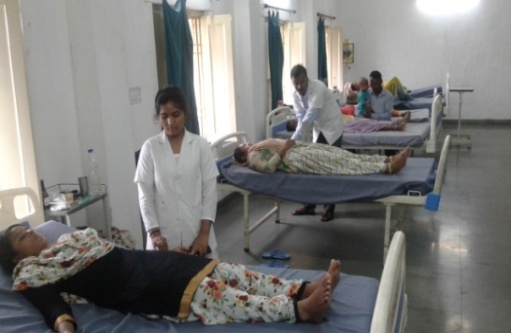 It has liaison with various clinical departments in the hospital including General Medicine, Neurology, surgery Obstetrics and Gynaecology, Surgery and Child Health etc. 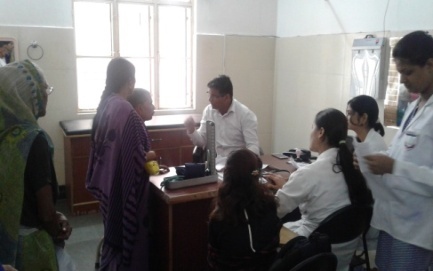 Department of Psychiatry involve in teaching M.B.B.S. 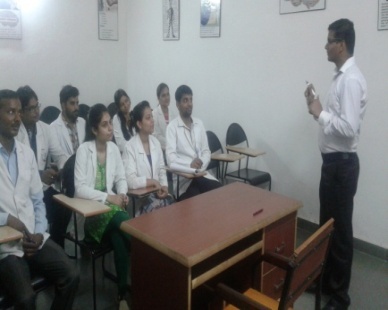 students- both through didactic lectures and clinical posting. Library: Library provides study material on mental health, psychological aspect and access to both national and international journals. It also has number of books on mental illness, psychological counseling and psychotherapy to support and caters to the study needs of faculty members, doctors, researchers, students and staff in their research, teaching and training activities. Library has internet access to vast journal , online educational sites and e-book for exploring and in depth knowledge in the field of psychiatry. Patients with mental health problems (Anxiety, depression, Schizophrenia, Bipolar disorder, obsessive-compulsive disorder etc) are being treated by our qualified consultant. Facilities are available for psychological tests. (eg. 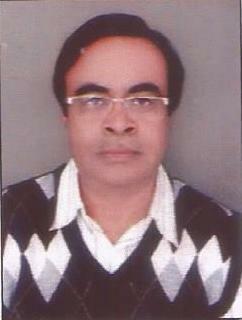 roraschach test, TAT, Bhatiya battery, IPDE, 16 PF etc. ),Rating Scale (eg.HDRS, MMSE, BPRS, YMRS, AUDIT, YBOCS, PANNS), counseling and psychotherapy. The Psychiatry Department also conducts Alcoholic Anonymous Meetings once a week on Friday along with Public Information Meetings once in a few months. 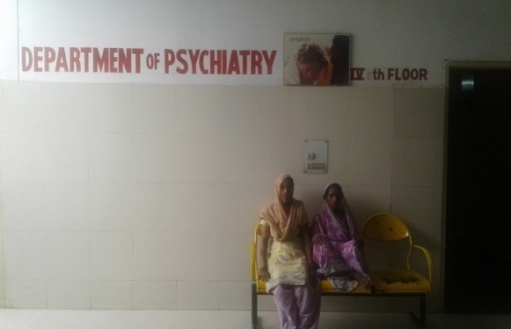 Recently, the department has also started Community Psychiatry Clinic once in a week at Satrikh, Barabanki. 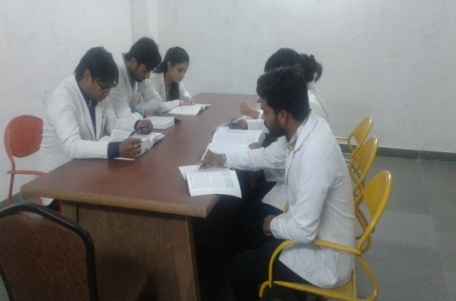 Besides all these activities the department of Psychiatry is also involved in teaching M.B.B.S. students- both through didactic lectures and clinicals. Training in psychiatry prepares the students to interview the patient, establish rapport, elicit detailed psychiatric case history, conduct mental status assessment, assessment of psychopathological symptoms & signs, diagnose and manage common psychiatric disorders, follow principles of consultation-liaison psychiatry; and hence to deliver preventive, promotive, creative & re-habilitative services for psychiatric patients- both in family & in community. 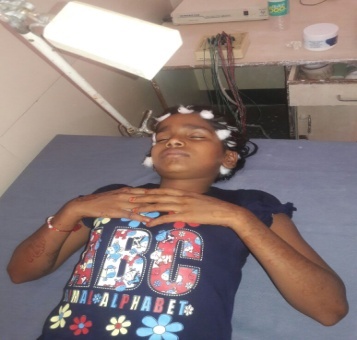 Emphasis is also laid upon handling psychiatric emergencies and referring complications/ unusual manifestations of common disorders & rare psychiatric disorders to the specialist. 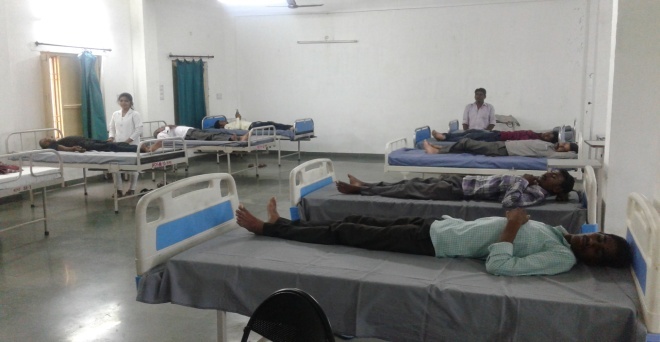 In Patient ward facility include ward separated for Male & Female each having 15 beds. Emergency Services: Patients are seen any time in 24 hours emergency service. we also have 24 hour telephonic help line services. ELECTROCONVULSIVETHERAPY (ECT): Treat severe psychiatric illness and suicidal patients. Only modified ECT use in collaboration with anesthesia team.